Britool torque drivers have been specially developed for use assembling, maintaining and repairing small mechanical and electrical assemblies where low torques are required. Ergonomic handle design for a film, positive grip, allows accurate torqueing - comfortable with prolonged use. Ref. Torque Range Hex. Drive Length Wt. Ratchet mechanism for fast pre-tightening - comfortable grip for repetitive operations. 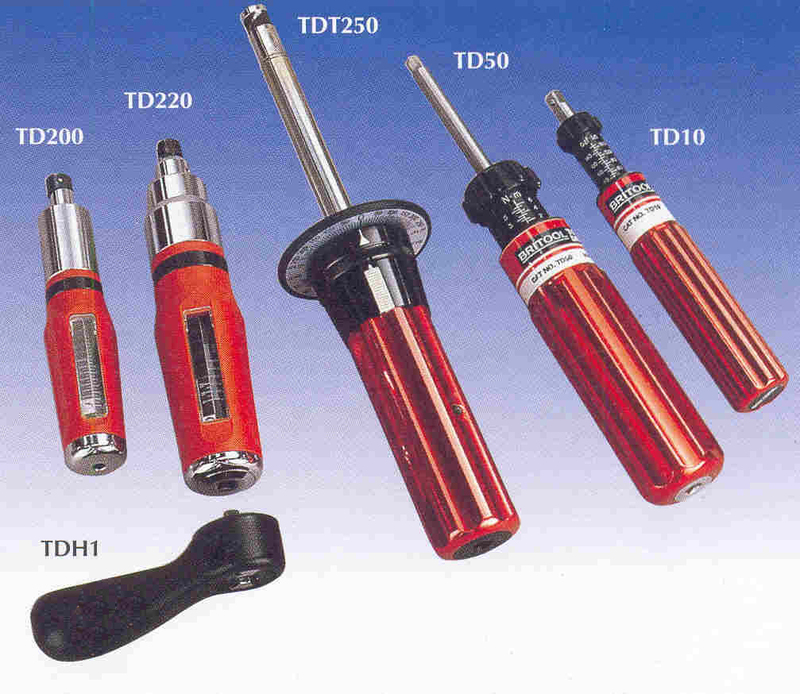 Facilitates tightening to higher torque settings. Ref. Square Drive Length Wt.